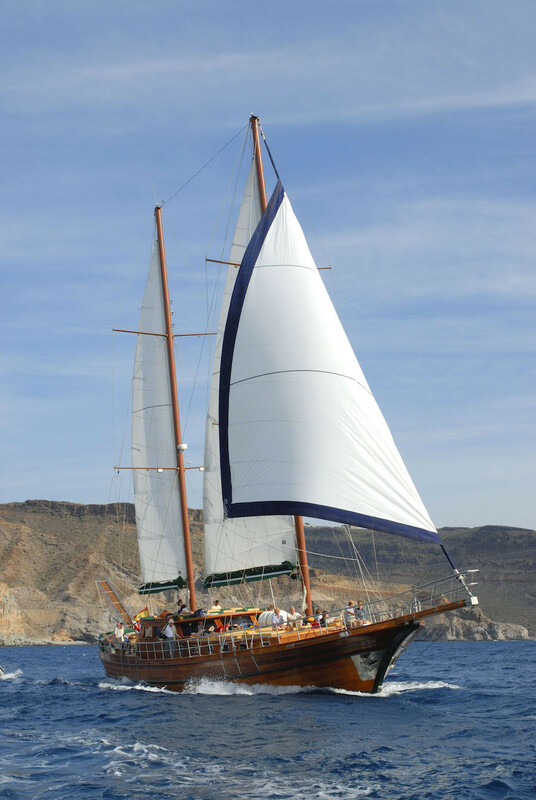 Join us on board the Aphrodite, a real sailboat sailing around the Southern coast of Gran Canaria. A unique and spectacular trip equipped with all the amenities so you get to know the best sights and sound of the island. Explore the hidden treasures the island has to offer, from the steep cliffs to unknown natural settings. Finish off your boat trip with a delicious all-you-can-eat Canarian cuisine buffet. A round trip from start to finish! Gran Canaria boat trip on board the Aphrodite boat. Five hours tour around the Southern coast of Gran Canaria. Free welcome glass of wine. Cheese from the Canaria Islands and nuts. Tomato, onion and tuna salad. Entrecôte steak and grilled chicken. Departures from 10:00 am to 3:00 pm Tuesday, Wednesday, Thursday, Friday and Sunday. On Thursdays the departure will be for adults only.